← Sailing through San Blas. San Blas Islands, Panama. Alas! After six days at sea, we spotted land. It’s a magical place…where the beer flows like wine and the women flock like the salmon of Capistrano. I’m talking about a place called Colombia. We entered Colombian waters around two in the morning, with most of the crew asleep on the boat. Of course, we were provided with a warm greeting by the military. I awoke with everyone screaming “passports, passports, now!” Seriously, I hate being awoken in such a way, but I guess you have no choice when immigration boards your boat. Everything worked out alright, other then being an inconvenience to my sleeping schedule…buy hey, that’s part of traveling, right? After catching a few more hours of sleep, we finally docked the boat and disembarked in Cartegena. First thought in my mind…this place is hot. Really hot. Remember, air conditioning is a premium that is often not found on a backpackers budget. As I sweated off ten pounds of fat, I made my way to my chosen place of residence and promptly took a cold shower. Honestly, it almost sent me into shock. One, the cold water felt amazing, and two, I had forgotten what it was like to not smell like crap (since we didn’t shower on the boat for 6 days). I came out of that shower as a different human being. Of course, within five minutes I was already dripping wet with sweat, but I wasn’t going to let that stop me from exploring the city. 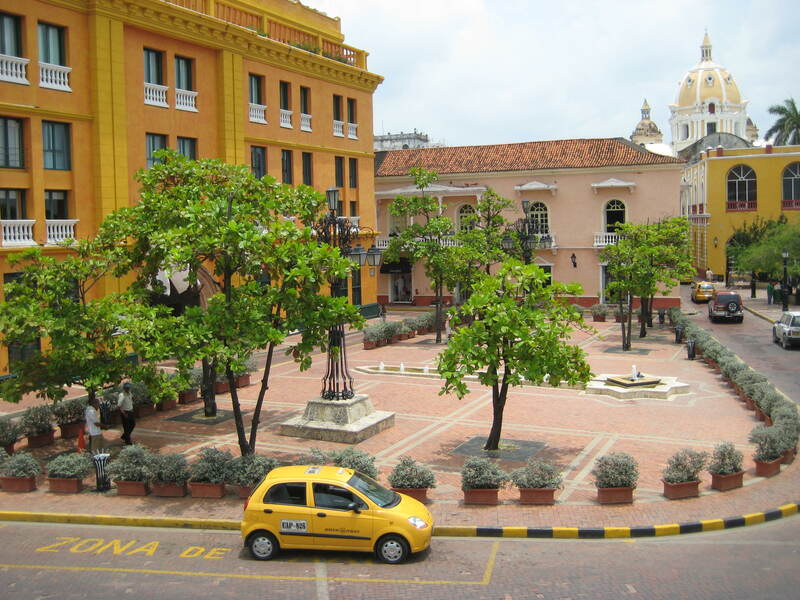 The old part of this beautiful colonial city is surrounded by a wall, which was used to protect it from pirate attacks. It only took them two hundred years to build, so I figured out of respect, I should at least raise my glass to the past Colombians who built it and check it out. The best part about walking on top of the wall is that there was a nice breeze. Have I mentioned that Cartegena is hot? Right on the edge of town is a fort by the name of Castillo de San Felipe de Barajas. Only about a ten minute walk, a couple of us went to check it out and spend an afternoon there. It wasn’t anything fabulous, but underneath, they had a series of tunnels that you could explore. Of course, the friends I was with decided to hide in the dark and jump out and scare the crap out of me. They succeeded, and I almost peed my pants because of them. 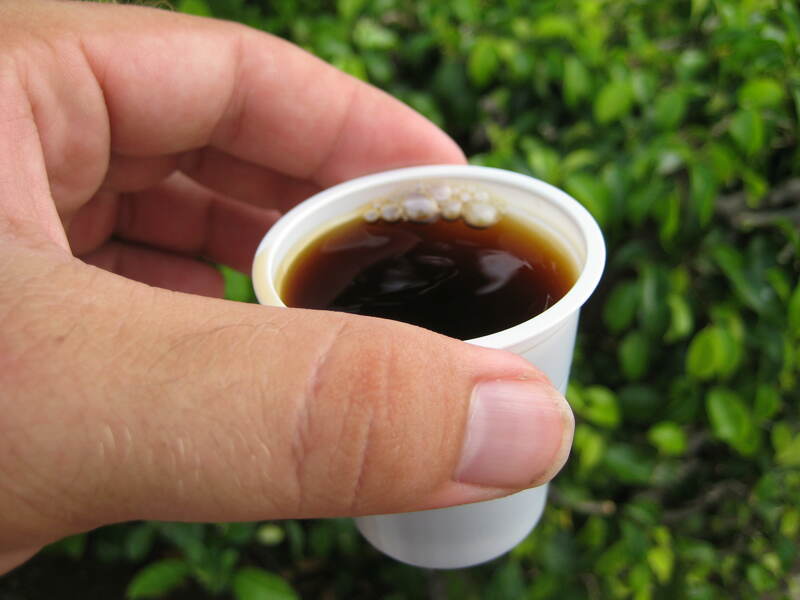 Cartegena was alright, but one thing that was truly amazing was the coffee. They would sell it in small glasses for around twenty cents. I took advantage of this, and tried to consume as much as possible during my two day stay. Also, this city offered more varieties of fruit that I have ever seen. Ice cold juice is sold on the corners, and for me, I was drinking four to five glasses a day. Helped cope with the heat. One last thing…Cartegena was hot. Really hot. The salmon of Capistrano? Glad you finally got there!